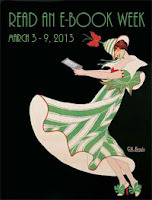 Read an Ebook Week, the world's largest global celebration of ebooks, kicks off this Sunday at Smashwords. The celebration runs March 3-9. Enroll your books now on the RAEW enrollment link on the Smashwords home page. You can enroll your books to be 25%-off, 50%-off, 75%-off, or FREE. Your enrollment doesn't change the list price of your book. Instead, it generates a coupon code your readers can redeem during the sale. The week-long celebration of e-reading is the brainchild of Rita Toews from Winnipeg, Canada. Rita is a soft-spoken mother of two and grandmother of one, and an author and cover designer. I profiled Rita three years ago over at The Huffington Post (click here to read the profile of Rita Toews). Each year under Rita's volunteer leadership, the Read an Ebook Week website becomes a clearing center for authors, publishers, retailers and device-makers offering special one-week ebook giveaways to help attract new converts to the joys of ebooks. The celebration is also a favorite for device-owners who like to stock up their readers and tablets with deep-discounted books. This will be our fifth year year sponsoring the event. The last couple years, as Smashwords as grown, the Smashwords Read an Ebook Week catalog has become the epicenter of much of the action. Thousands of Smashwords authors will participate this year, and many will do so without lifting a finger. All free books are automatically included in the catalog. Each year, the event breaks sales, download and traffic records for our web site. More than a couple times, it crashed the site as thousands of readers overloaded our servers by stocking up on ebooks like there was no tomorrow. Each year, it's a great test of our infrastructure. Interestingly, although site sales drop off in the weeks after the sale, they always settle in at a higher average rate than before the sale. I think what this means is that the event brings new fans and eyeballs to Smashwords authors. The promotion benefits from a concept known as network effects (more on the concept at Wikipedia). Although the network effects concept is usually applied to computer networks and social networks, it can also be applied to Read an Ebook Week as well. The more authors who enroll, the greater collection of books, and thus the greater value the collection is to readers, and thus the greater the word-of-mouth excitement. The more authors promoting their participation, the more readers who are drawn in to discover the works of all Smashwords authors. In other words, for every author and reader participating, the event becomes all that much more valuable to the other participants. Do your part, participate, support your fellow authors and readers, and above all, have fun! 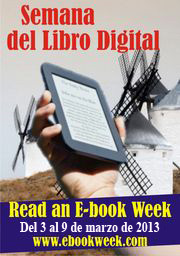 It's great to see Smashwords sponsoring Read an eBook Week again. Thank you, Mark. As a reader, I like being able to find new authors and new books, and with so many of them being reduced in price or even free, it's like being able to browse for days in a book store and walk out with a ton of new books to read. As an author, I've found Read an eBook Week to be exciting as I add up the numbers of new readers who have found my books, particularly at Smashwords. I have always made my books part of the Smashwords promotion of Read an eBook Week, and I'll be doing it again for the fourth year. Let the week begin! For Brazilian readers, there'll be an local Read An Ebook Week, called "Semanda do Livro Digital", in a partnership between Simplissimo (local ebook company) and Rita. Promotions, discounts and free portuguese ebooks will be available through semanadolivrodigital.com.br. Two typos above mar an otherwise nice post about an exciting promotion for everyone. "Read and Ebook Web Site"
Let's keep up standards as we insist that indies can spell with the best of them! Inkstain, thanks for the eagle eye. Corrected! Though I've been a member of Smashwords as a reader for several years this is the first time I'd heard of the promotion. I'm excited to be participating this year as both a reader and author. Thanks so much! Thanks, Mark. I'm already reaping some of the rewards. Or, I suppose, my readers are. Thanks, Mark. I'm very happy to participate in REBW. Where do my readers find the coupon codes? I'm a newbie and I'm seeing neither hide nor hair of 'em. Thank you, Mark, for providing an outlet for indies like me! My short stories, "Thirty and Two," http://bit.ly/T1BwzD and "Drop a Dime," http://bit.ly/QB2lfU are both available free this week! I'm glad to be part of this great promotion! Hi Petrea, after you enroll your book(s) at a given discount level, your readers will see the coupon code on your book page. They'll also be able to browse the main RAEW catalog and search for books within each discount level. In your marketing, it's always a good idea to mention what your discount level is, and also share the code for that discount level. Thanks, and have fun! I'm participating but with a nagging question in the back of my mind, Which is: Will it hurt sales at paid sites such as Amazon or B&N? It doesn't matter if sales are low. But will there be any ill will from folks who either purchased in the past or who return books for an immediate refund? The value I'm hoping to achieve is thousands of downloads on both of my Imprints. I understand it takes thousands of free downloads to generate dozens of paid sales. Reviews would be a plus also. Hi AC, my sense is that this promotion helps grow the pie bigger for all the retailers. When Rita created this global event, it was all about helping to introduce print readers to the joys of ebooks. Judging from the flurry of buzz this event creates each year, I'm sure it's already helped tens of thousands of book lovers jump over the fence and try their first ebook. Re: prices and how customers will react, authors and publishers adjust their prices all the time, so I wouldn't be too concerned about ill will from readers who previously purchased at a higher price. Mostly, this is a chance for you to connect with new readers as part of a fun, once-a-year promotion. It's a chance to possibly reach a few more readers who might not have taken a chance on you were it not for the discount. Think of RAEW as just one of many hundreds of steps you can take over time to build your platform for the long term. Somewhere on the blog or smashwords, there were a couple of links for a couple of free ebook promo sites. Now i can't find them. Can anyone help? Hello Smashwords. I am happy to join in with REBW. I Have to thank Smashwords for the seamless conversions. the prompt friendly support, the advice in the blogs - especially relating to Apple - and the openings to new markets especially Kobo in Canada and New Zealand which is doing v.well with Apple following behind. :) Rosalie Marsh. I'd give the tip of my little finger to see the amount paid sales that I'm seeing in freebies. It's very exciting. I've made most of everything under my two names/imprints free. People are snatching them up in batches. Not just one story, but 3 or 4 at a time. Imagine "selling" 3 and 4 titles an hour! I'm very glad Petrea asked that question. I couldn't figure out how readers or potential new readers could find books in all the pages of books available. Thanks, Eres. I'm glad I wasn't the only one! Enlisted both my novels Iceline and Control Escape at the start of the week and seen both books averaging three or four downloads a day, there's still time for more new eyes to see them. It's been fairly amazing on some days, especially the beginning. I primarily have stories up. Posted on facebook and tweeted. There were parts of some days where a sale was made every five minutes. However these last few days, have seen things crawl to a trickle. I wanted to see the momentum swell but that's not the case. But still it was a great experience. I might keep things free for a duration. Not sure. Anyone else care to share experiences? Thanks everyone for participating. In one week we processed more orders than the entire prior month combined. The FREE code was the most popular with readers, though participating authors on average also saw an increase in the the number of paid orders. See you again next year! Love seeing Mark Coker while at the RT13 conference. Great workshop! Inspired me to publish on Smashwords! Thank you! Once I have the answer together with my works formatted - will be 'going like a boeing'. 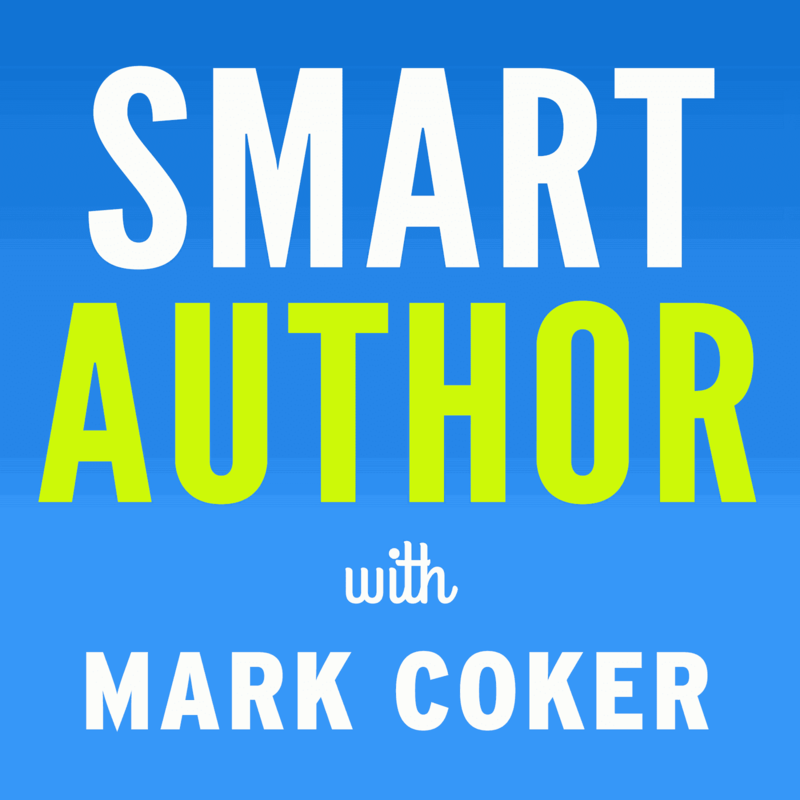 Would have been awesome to have been able to meet Mark Coker in person... but then this is what this blog is for... cyberpersonally charged..